You are here: Home / Communities for Artists / Choose Your Own Adventure Online Course: We’re in the Home Stretch! Choose Your Own Adventure Online Course: We’re in the Home Stretch! I have a pretty good idea at this point of what we’re going to cover in April’s group coaching session. Here’s a run down of some of the good suggestions. The basics of selling – how do you go from selling in real life to selling online? How do you get your website to sell something for you without being obnoxious? What makes a good website? How do you display your images in a way that is beautiful without using Flash? 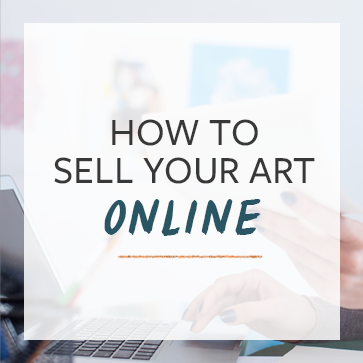 How to use social media in a way that makes money and doesn’t just result in having a fan base full of broke artists who are never going to buy your work? Newsletters: What to put in them, how to get people to read them, and how to make money from your email list. Search Engines: how do you get Google to list your stuff? how do you use Adwords without spending a ton of money? I’m going to whittle them down over the next few days and announce the course content next week. I’m really excited about building the course this way. It’s a lot of fun. I have some other questions that I need some help with too, though. Like how big your ideal group would be and how much money you’d pay for a course like this. I’ll take all of your suggestions and come up with something that is a good fit. It’s a grand experiment! Advantages: More one-on-one time. Get your questions answered. Disadvantages: It’ll cost more per-person. Previously my group coaching sessions were four weeks. A one hour conference call each Tuesday night, along with homework and individual follow ups throughout the week. What would you pay for a course like this? Seriously? Any price that you put down is good feedback. Leave a comment below, find me on Facebook, Twitter, or email – cory at TheAbundantArtist.com. I can’t wait to get this going! $299 if you were having a small group, $149 for a larger group…. is my pricing suggestion. I see your dilemma, if a product is worth only what people will pay for it, how do you even start to find your base price? Maybe also you could add additional features, like a $49 add-on for 1-on-1 30 min coaching two times throughout the month, etc. I’d suggest $79 for a 4 week course if you sign up by a certain date, up to $99 after that. I wish i could take a lesson from you. Gyu-ri, thanks for your note. You can still join us for the group course, even if you are a student. Since I’m not currently pursing making $ off art, I’d benefit most from the general information and shared ideas from a large group. $25 would be great. If I decide to take the step to making $ and/or doing art full time, a small group (>10) would be ideal for a couple hundred. Individual time up to $75/hr.